Facebook is growing bigger and bigger everyday, the more people are using it the more they are chatting and sharing their stuffs on their wall. Well it is obvious that most of the people use Facebook for chatting. Yes it is easy to connect with old and new friends in Facebook so not so hard to get in chat with them. 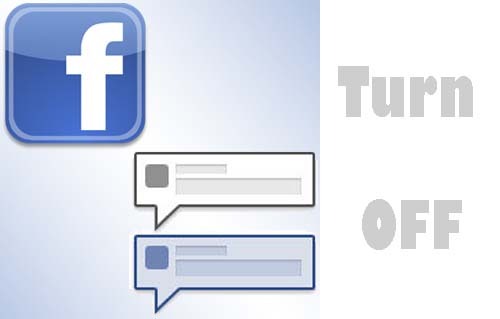 Its alright if you are using Facebook as we can see who are online or offline so we can live chat or send offline message to our Facebook connections. 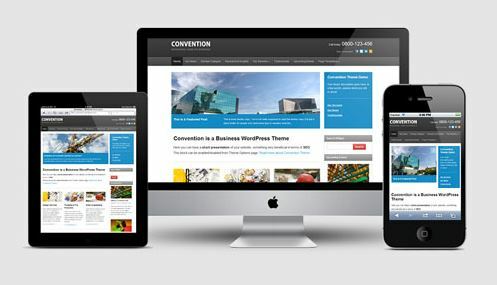 One thing that kick off every one is that when someone logs in to their Facebook Account via mobile sometime even in browser and close it after a while without logging out. People in their Facebook connection sees him/her as online and they keep sending message. It is really boring when someone doesn’t reply although we can see them online but the fact is they are not online they just forget to sign out and Facebook server shows them online. Irritating isn’t it ? So how to get rid of this, i mean is there any way which can show you offline even you are logged in ? 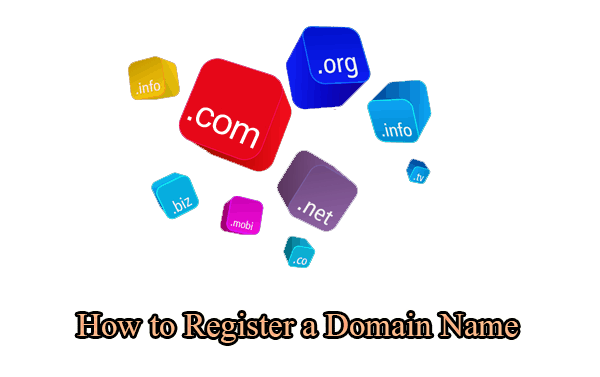 Well for staying offline to any one at anytime there is a easy step which you can implement. 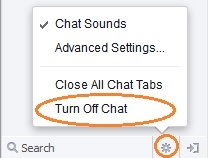 You can find Facebook Chat box at the sidebar with the Gear Button where you will get the option to Turn on/off Chat that makes you online or offline from Facebook Chat. Well that was for all your Facebook friends that are connected to your Facebook Account. But what if you want to go offline just for specific friend ? 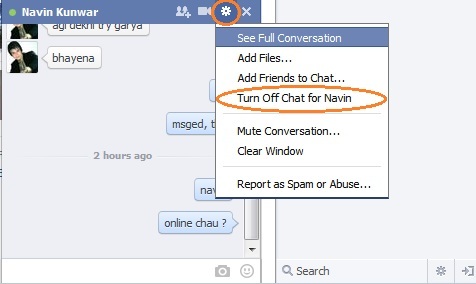 There is too a way to go offline for just specific Facebook friend, refer to the image below and Turn off Chat for your friend using the Gear button available on the Chat box of your conversation with the friend that you want to go offline. So that was easy and i hope this solves your problem of turning off the chat for specific friends or for all the Facebook connections.